A Year of Being Here: Gil Hedley: "Living Testament"
"Living Testament" by Gil Hedley, from Beyond the Leaving (2011). Reprinted with permission of the poet. 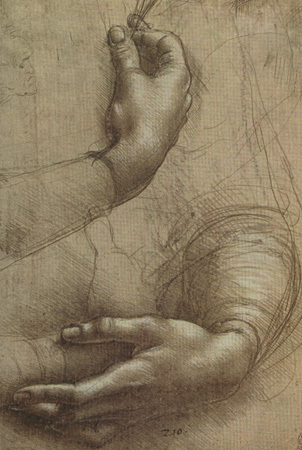 Art credit: Study of hands by Leonardo da Vinci.